Summer is upon us and many of you, like me, are now dreaming of escaping work and heading somewhere that isn't home. When we travel, we like to do it in style. There are so many things you can do to make the travelling part of your trip, more relaxed, more comfortable and stylish, so I've decided to share with you the essentials I like to use when I go abroad. Welcome to the G-RO - the 'Rolls Royce' of carry-on luggage. Modern travel needs an excellent carry-on bag and smart suitcases are the way forward. I can't stress how having the right one can reduce the level of stress when it comes to all the ridiculous airline restrictions and negotiations we have to consider. Just having instant access to your belongings like a mobile charger or your iPad for in-flight entertainment, can make a difference to travelling with ease. This beauty comes not only with two USB charging ports with a removable battery (which ensures it conforms with airport security regulations), it also has a GPS tag in case it gets lost. Several pockets give you easy access to your passport which is outside but hidden, your laptop slips into the outer flap for quick removal at security, and there's even a compartment for your water bottle. What makes this design stand out most of all, are the giant wheels. These specifically lower the centre of gravity, making it feel lighter and much easier to pull and can handle being dragged across any surface or step. The G-RO also gives you ample of deep storage inside, along with a unique divider to keep your shirts flat. I love the fact this gorgeous sleek design gets you noticed as you glide across the Terminal floor. The suitcase does come with a hefty price tag though, but for the serious traveller, it's worth every penny. If you're a regular follower of Space Shack, you know already how much I love this Japanese brand when it comes to interior products. When it comes to travel, they are also my go-to for travel storage with their Garment Cases. These are excellent at keeping the inside of your suitcase ordered and prevent it from becoming a pile of random clothes. The Muji Garment Cases come in various sizes and colours, double or single-storage, and fold up into a tiny pouch when not in use. I like to carry a spare, to act as a laundry bag, or to house any new fashion purchases. At under £15 each you can't go wrong with these, and any OCD travellers amongst us can now rest easy. There's one item I think separates the professional, sophisticated traveller apart from the regular tourist, and that's the neck pillow. Over the years, these have got quite ridiculous in size and shape, including one which is like an Ostrich burying its head in a hole, and never fit into your carry-on. I can't abide this travel device, but I understand getting a good night's sleep is a necessity. 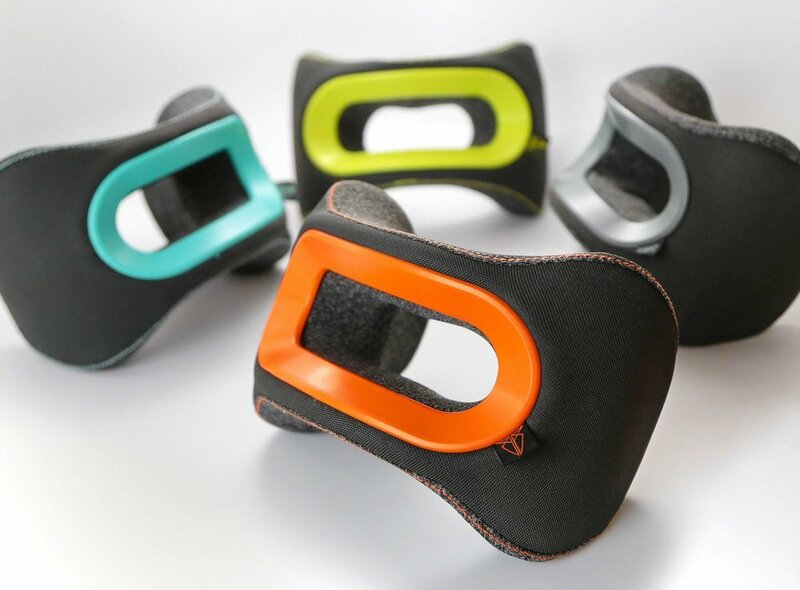 I first heard about the Bullrest Neck Pillow through their Kickstarter campaign and was the first to sign up as their minimalist, ergonomic design answered all my prayers in one. 80% smaller than regular travel pillows, these are the size of your headphones, and surprisingly feels very snug wrapped around the back of your neck. The hole stops you from getting too hot and most importantly it looks discreet and supports your head comfortably. My only gripe with it is I can't use it with my noise-cancellation headphones, which I'm going to mention next on my list. For day-to-day commuting around London, I'm quite happy with my cheap Apple headphones, I've lost count how many times I've lost and broken these. I use a Bluetooth version for the gym to give me more flexibility, but when it comes to travel, I need a good pair of noise-cancellation headphones to block out the outside hum of the aircraft and allow me to sink into my in-flight entertainment or focus on my work. 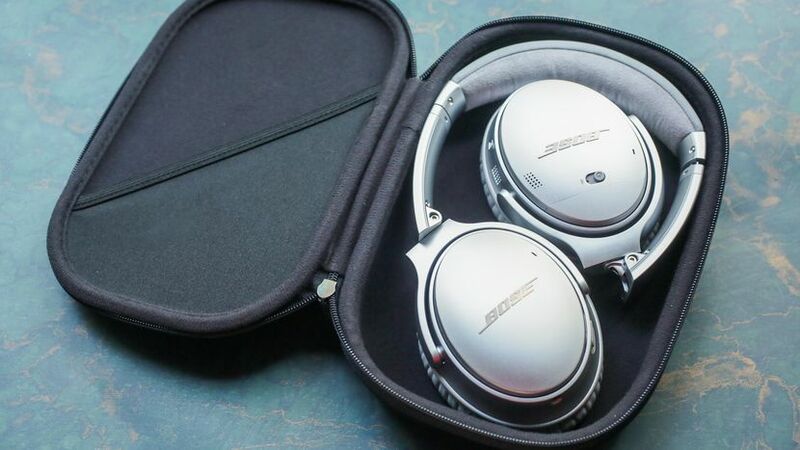 The Bose QuietComfort headphones take noise cancellation seriously and even let you regulate how much background noise you want to hear so that you can adapt to your environment. The battery life is pretty fantastic too with 20 hours in wireless mode and up to 40 hours using the wire. The latest model even has Google Assistant built-in. Again, these come at a price, but I have to admit, I wouldn't go long-haul without these puppies. If you are discernable gentleman traveller, a little luxury goes a long way to make you feel at home when you're abroad. I have a been a big fan of the Billykirk brothers since I stumbled across their beautiful handcrafted leather bags in Williamsburg, Brooklyn several years ago. Since then, I've inherited several of their bags, or should I say obsessively bought them every time I'm in the States. Recently they have expanded their range to include toiletry bags or as they call them a Dopp bag. I love the Brush Brown collection right now, made with premium vegetable tanned leather crafted with 20 oz waxed canvas. The materials are durable, refined and feel incredible to the touch. If you want to complete the Mad Men's Don Draper approach to travel, then follow GQ's guide to packing your toiletries too. Check out the full range of Billykirk's travel bags, handmade from Amish leather and 100% American made.